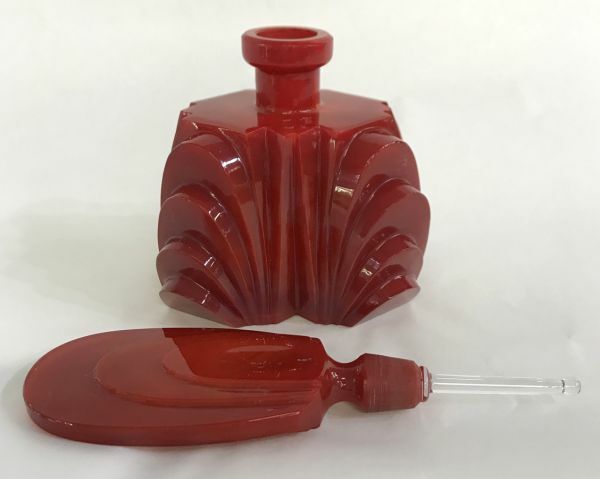 Art Deco red opaque glass perfume bottle designed by Heinrich Hoffmann in the 1930s. Complete with the original dabber. 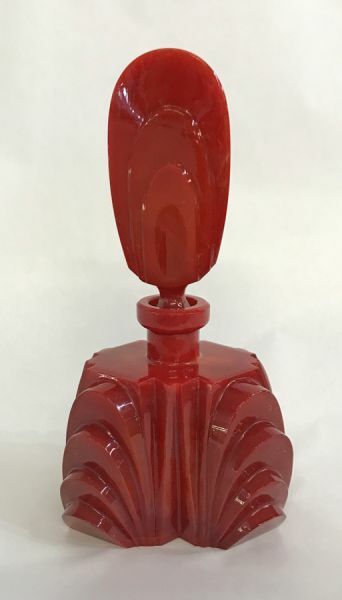 The base is 3” by 2 1/4”, 6 1/8” high.